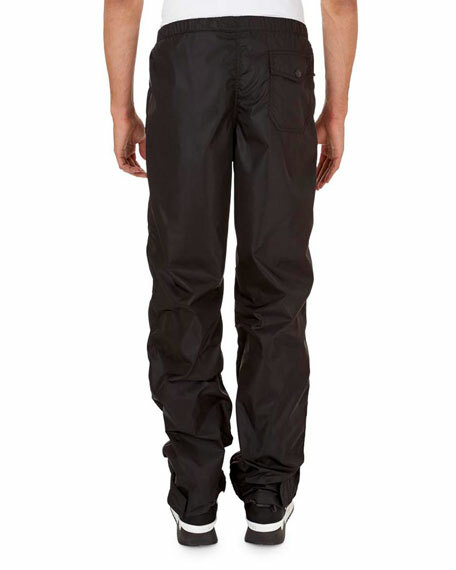 Givenchy jogging pants in solid satin. Relaxed fit through straight leg. 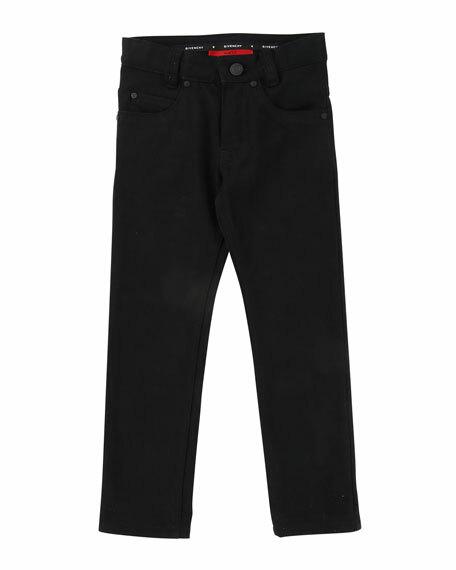 Givenchy black denim pants. Logo strap bands back leatherette pocket. Leather logo patch at back waist. Five-pocket style. Button-zip fly; belt loops. Flat front; mid rise. Relaxed fit through straight legs. Body, cotton/spandex. Trim: leather; polyester/polyurethane. Lining, polyester/cotton. Imported. 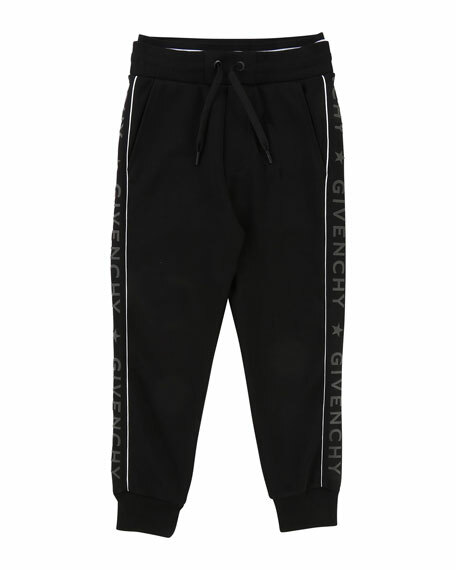 Givenchy jogging pants with logo detail down sides. Contrast piping borders logos. 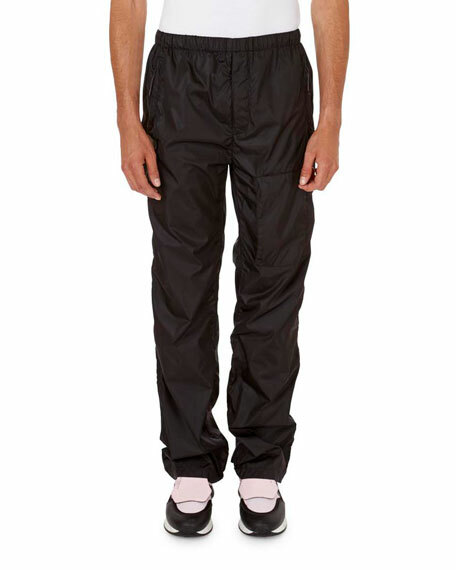 Elasticized, drawstring waistband. Banded ankle cuffs. Relaxed through straight legs. Body: cotton/polyester. Trim: cotton/spandex. Lining: cotton. Imported. 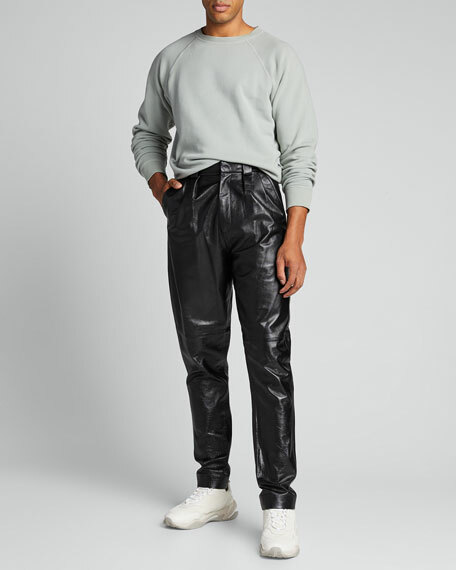 Givenchy trousers in lamb leather. Regular rise; belt loops. Button-zip fly. Five-pocket style. Slim fit; skinny legs. Cupro lining. Made in Italy. 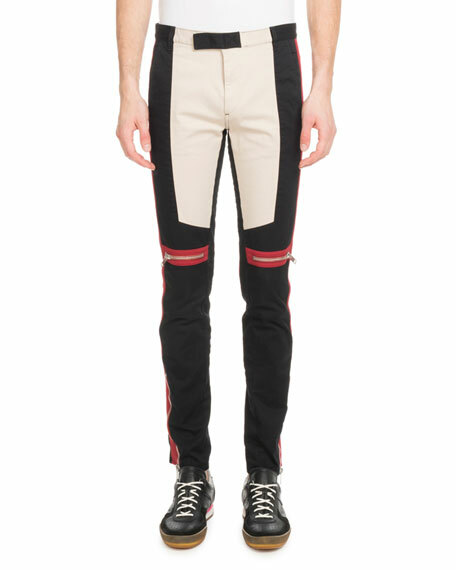 Givenchy motocross-style trousers in colorblock twill with trapunto and zipper detail. Side slip and back patch pockets. Rise sits below natural waist. Slim legs taper at ankle. Button/zip front; belt loops. Cotton/spandex. Imported.